The Lombard Rotary Club was founded in November of 1963, and is comprised of men and women who are business, governmental and community leaders in the Lombard area. We follow the mission of Rotary International, which is to provide service to others, promote integrity, and advance world understanding, goodwill, and peace through its fellowship of business, professional, and community leaders. We meet weekly over lunch for fellowship, good food and networking, as well as other events throughout the year. Each October we conduct our largest fund raiser, The Reverse Raffle. This event collects money for local area scholarships, as well as helps to fund our Warm Coats Project, which provides warm outerwear for local area grade school students. In addition, we donate money to other area philanthropic groups in the Lombard area. We would love to have you join us for lunch, and to learn more about our club. We promise you a hearty lunch, friendly conversation and a better understanding of what it will mean to belong to the Rotary Club of Lombard. 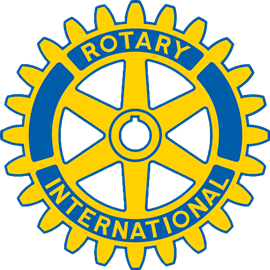 Lombard Rotary Club members are community leaders who volunteer to work locally, regionally, and internationally to combat hunger, improve health and sanitation, provide education and job training, promote peace, and eradicate polio under the motto “Service Above Self”. Rotary provides a great opportunity for networking, fellowship, and community service. Our Lombard Club, as part of Rotary International, helps and supports Lombard area groups and individuals in various ways, and contributes to Rotary International’s efforts to end the spread of polio. Rotary International has established Guiding Principles, or values, that members honor. Youth Service recognizes the positive change implemented by youth and young adults through leadership development activities, service projects, and exchange programs. Mission of Rotary: To provide service to others, promote integrity, and advance world understanding, goodwill, and peace through its fellowship of business, professional, and community leaders. Finally, Rotary International recognizes the value of diversity within individual clubs. Rotary encourages clubs to assess those in their communities who are eligible for membership, under existing membership guidelines, and to endeavor to include the appropriate range of individuals in their clubs. A club that reflects its community with regard to professional and business classification, gender, age, religion, and ethnicity is a club with the key to its future.